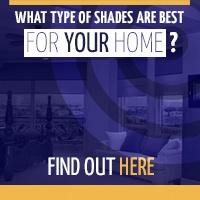 Just as each room in your home has a different purpose, each room has different lighting needs. Thanks to adjustable lighting and a variety of shade fabrics and paint colors, you can accommodate every single situation by creating a custom light setup for each space. 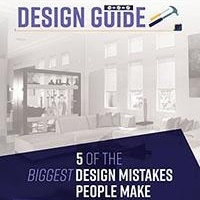 Your color, lighting, and shade choices will allow you to maximize (or minimize) natural lighting during the day, and set the perfect ambiance after-dark . Peace is the number one priority in bedrooms and guest rooms. 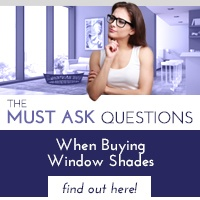 Blackout shades make it possible to eliminate all sunlight, even during its peak hours. Because they block the sun, they also reduce your indoor heat gain, which makes it easier – and cheaper – to maintain a cool, comfortable temperature for sleeping or watching TV. Darkness and a drop in temperature are two key ingredients for restful sleep, so blackout shade fabrics are ideal for bedroom windows. Of course, most of your time in the bedroom happens during the evening hours. Set a restful mood with warm, soft bulbs and dimmable fixtures. Your lamp and light bulb choices may include colored bulbs for romantic nights, small but bright reading lamps that won't flood the whole room with light, and soft, adjustable LEDs that illuminate the way to the door. Your living room doubles as two places: your most private place to relax and unwind, and your headquarters for entertaining (and impressing) guests. It also gets traffic during all hours of the day, so natural lighting is important to consider as you try to customize this space. Light-filtering fabrics allow you to enjoy your downtime in privacy, and multiple adjustable LED lights are warmer and more inviting than bright overhead bulbs. Unlike window tints and tall bushes, retractable shades retract when you want a clear view of your scenic surroundings – and come back down to prevent glare on bright and sunny game days. After the sun sinks, turn on soft accent lights to highlight your favorite artwork and décor, and rely on a few different lamps or LED strips to illuminate your main seating area. Diffusing the light throughout the space will make everyone feel more comfortable and relaxed. Your kitchen is full of heating elements, plumbing fixtures, and sharp utensils. This is no place for romantic mood lighting, at least not in the food preparation area, so invest in shades that maximize natural lighting while filtering out glare and UV rays. Then add extra lighting along the cabinets and countertops, making sure the stovetop and sink always have plenty of lighting. Mirrored backsplash tiles make it easier to maximize natural and artificial light sources. Meanwhile, yellow and bright blue are two inviting wall colors to consider. Artificial lighting creates countless possibilities after the sun goes down, but shades make it possible to personalize your indoor space during the daylight hours too. 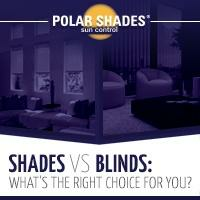 Call Polar Shades at 702-260-6110 to get started with a free in-home estimate.